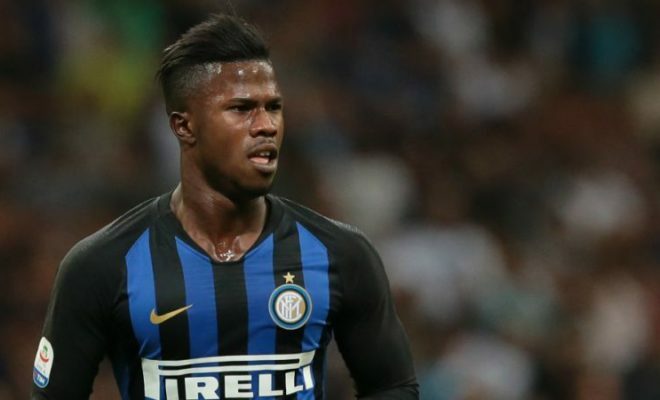 Sensational news from England suggests that Liverpool have opened talks with Inter Milan over the transfer of winger Keita Balde. According to reports, Jurgen Klopp wants the forward and believes that he could add a boost to the forward line. Liverpool are currently in a two way battle for the league with Manchester City and Klopp knows that there is little room for error. The Senegalese international is currently on loan from Monaco but Inter Milan have an option to make the move permanent for around £30 million. It is believed that Liverpool could strike a deal to terminate the loan and bring in the winger in January if they can pay above £30 million for the player. Balde is seen as an ideal purchase to act as a back up to the forward line of Sadio Mane, Roberto Firmino and Mohammed Salah. Despite the complication surrounding such a move, the Anfield outfit are confident of pulling off the deal. Balde is blessed with pace, power and an eye for goal, with the winger scoring 3 goals and 2 assists in his past matches for Inter Milan. Liverpool are currently two points adrift of Manchester City despite making an unbeaten start to the premier league.